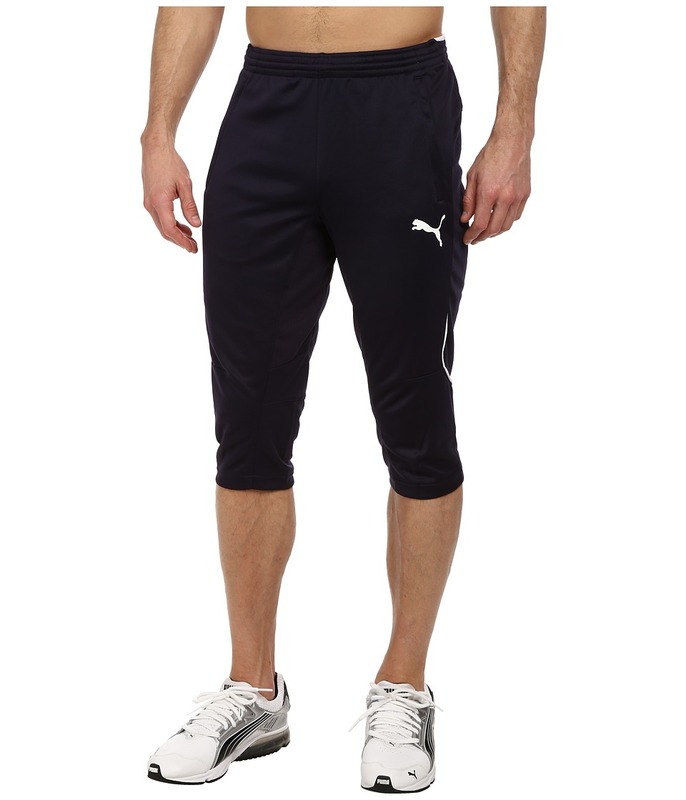 You bring the cropped styles of the future to the training camps of today in these fashion-forward PUMA 3/4 Training Pants. PUMA Performance apparel combines technical fabrics and ergonomic construction to meet the rigorous demands of athletes. dryCELL performance fabric wicks away perspiration to promote a comfortably dry personal climate. Elastic waistband with interior drawstring tie for a secure and comfortable fit. Contrast piping adds a stylish flair to this capri pant. Flat zipper hand pockets at side. Cropped cuffs for better clean airflow around your sweaty calves. Iconic Cat logo at left leg. 100 percent polyester. Machine wash, line dry. Imported. Measurements: Waist Measurement: 28 in Outseam: 28 in Inseam: 18 in Front Rise: 10 in Back Rise: 15 1 2 in Leg Opening: 14 in Product measurements were taken using size MD, inseam 18. Please note that measurements may vary by size.